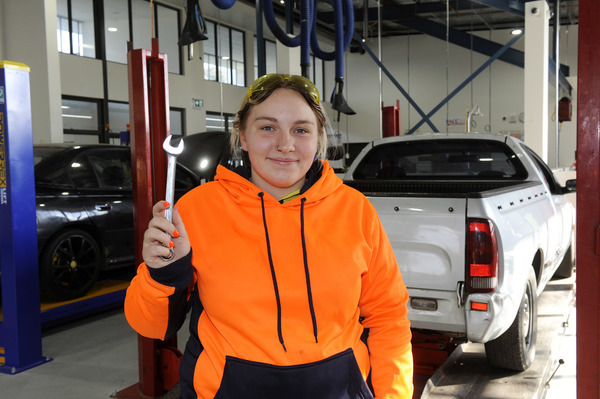 High-school students will get a head-start under the bonnet with the opening of a new automotive trades facility at Lyndhurst Secondary College on 5 June. 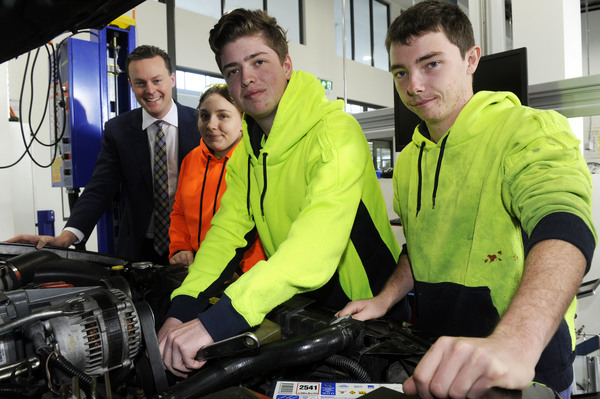 It is part of the federally-funded Cranbourne Region Trades Skills Centre – a joint venture between the college, Cranbourne Secondary College, Alkira Secondary College and Marnebek School. 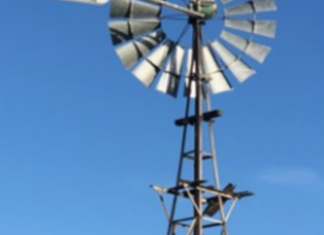 Students from Casey South schools can undertake Vocational Education Training in Schools programs at the four schools and “in the comfort of a school setting”, Lyndhurst principal Konnie Prades said.. The Lyndhurst facility offers first and second year automotive VET courses on the site. It complements a revamped wood technology wing at Cranbourne Secondary College which offers first-year Building and Construction certificates. Alkira Secondary College has a modern facility for food technology, enabling students to gain Hospitality certificates. Marnebek School has renovated facilities for Barista courses. Dunkley MP Chris Crewther, with Casey councillor Amanda Stapledon and Cranbourne ALP candidate Pauline Richards, opened the facility.